Ball cap, adjustable strap, light blue color. 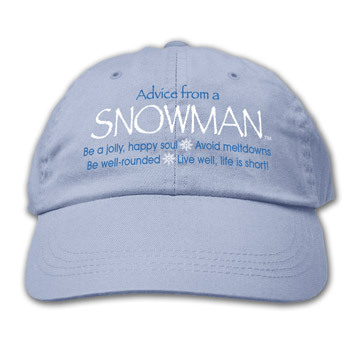 Advice from a Snowman. Be a jolly, happy soul | Avoid meltdowns | Be well rounded | Live well, life is short.